The dietary aspect of building muscle is all about calories – calories in and calories out. If too little calories are put in, zero growth and possibly a fat or muscle loss (or both) will occur. If too many calories are put in, muscle gains or fat gains (or both), will occur. That’s the way it works, and despite what you may hear, that’s the way it’ll always work – Mother Nature herself says so. It can be a big challenge getting enough calories, particularly if you are a beginner. It can seem very daunting, indeed. I remember when I first began; it was a complete struggle as I went from a guy who missed out meals most days, simply because I wasn’t hungry, to a guy who had to eat even when he was bursting at the seams. But… it gets easier, trust me. To give you an easier ride, I’m now going to tell you about some super-high-calorie foods which you can utilize in your diet which can help to boost your calorie intake while minimizing the actual volume of food you have to consume. Cheese: Did you know that in a mere 100g of your average cheddar, there are around 400+ calories? I use a lot of cheese in my diet, as do a lot of bodybuilders. It’s packed with protein, too, at around 25g of protein per 100g of cheese. Milk: My favorite… I don’t know what I’d do without it. On an average day, I consume no less than 3 pints of milk a day. Why? Because it’s packed with calories, useful fats for boosting testosterone, and, casein protein. Just for the record, whole fat milk contains around 364 calories per pint, plus 19g of protein. Eggs: I have my eggs in many ways, and boys are they useful and convenient little things. I can have poached eggs on toast, or hard boil several eggs to take with me anywhere I go for a snack. In just one large egg, there are approximately 100 calories – yolk included – and 8.5g of protein. By using the aforementioned foods in you diet, you can have both convenience of fast preparation, and high calories compared with the actual volume of food. Nice, huh? From the outset, the idea of ‘bulking up’ would seem no more complex than eating everything in sight; the more the merrier, in fact. The error in this is, it’s not how much you eat per se, but how much calories the food contains that you eat – plus, there are other factors which I’ll explore in more detail in this article. First let’s clarify something: bulking is the phase in which a candidate aims to put on as much muscle mass as possible. It’s a phase during which, calorie excesses, as well as sufficient macronutrients must be taken in, providing the necessary fuel to repair and grow muscles after training. People bulk for all sorts of periods of time, ranging from months, to years at a time. Usually, a person will then go on a ‘cutting’ diet, to remove excess fat accumulated during the bulk. There’s that ugly word which nobody wants to hear about – fat. Yes, I’m afraid you’d best get used to the idea, as, unless you are on steroids, you will inevitably put some fat on during a bulking phase, simply because you are feeding your body the excess it needs to grow. Under feed it and, your gains will become static. So, let’s examine what we need to bulk. Calories and lots of them. Preferably taken from good, clean, whole foods. Whole milk is a huge favourite, because it’s packed with calories and protein, and so easy to drink pint after pint of it, with no preparation. Hard boiled eggs are another, highly convenient snack which can be prepared and eaten throughout the day, and also packed with calories and protein. Meat such as fish, chicken, and beef. Whatever you decide upon, you should make sure you take care to count calories stringently, ensuring you are getting your quota. You should also avoid as much as possible processed foods, as many of the calories can actually be fairly hollow in nutritional value. A typical bulking diet will consist of a daily calorie count of 15 calories per lb of bodyweight (yes, bodyweight, not muscle weight) plus, an additional 500 calories to ensure there is a surplus, and your muscles aren’t left wanting. Depending on your metabolism, and your level of daily activity, more or even slightly less may be required. It’s very important that you get your rest when bulking, as your muscles simply cannot recover and grow at optimum rate if you are continually working them – and if you are continually burning the calories off doing other activities. Rest is key. Don’t try to get too caught up in the typical ratio of 40% protein, 40% carbs, 20% fat when bulking, although you must ensure you get sufficient protein at around 1 – 1.5g per lb of bodyweight, and a good healthy amount of complex carbs. Mostly though, it’s the overall calories which count. And, if you find yourself putting too much fat on, you may want to readjust your calorie count a little. Happy bulking! When looking to add more muscle you need to be aware that you have to eat ever increasing amounts of calories (or portions, if you like). That means more of everything; particularly protein. 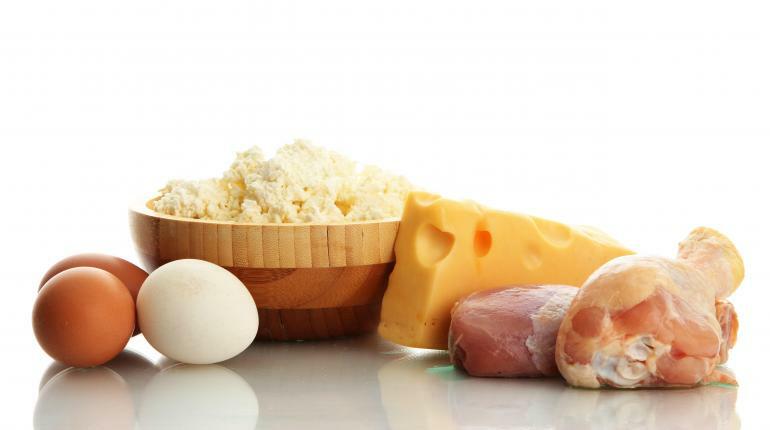 Protein is essential in both maintaining and building muscle. Many bodybuilders eat a terrific amount of protein, upwards of 2g per lb of bodyweight. Others tend to hover around 1g per lb of bodyweight. I say just do whatever gets you results and you will only know for certain what works best for you by testing. If you find eating more protein on a daily basis equals more lean muscle mass, you’d be a fool not to take full advantage of the fact, right? It’s recommended that you eat every 3 hours when trying to gain muscle, and you should always include protein in these meals. ‘Meal’, however, is a rather misleading term. They don’t have to be actual meals, not all the time. You could, for instance, describe them as high protein snacks. Most people spend the majority of their time at their places of work, and it’s not always convenient or possible to have a true meal. However, a resourceful bodybuilder will be able to get his or her protein in wherever, whenever it’s needed, and in quick time. Natural foods such as hard boiled eggs, beef cold cuts, chicken breasts/wings, a chunk of cheese, nuts, or canned fish (mackerel, tuna, and salmon) are great and very convenient high protein snacks. 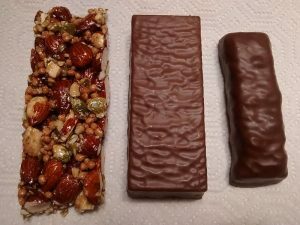 You also have the option of purchasing some high quality protein bars, such as made by Myoplex, or even carrying around a flask or bottle of milk (or even better, milk mixed with high quality whey protein powder). A lot of foods contain protein, but, the snacks I have mentioned are certainly the best because they are unprocessed or processed in a way in which the nutritional values are preserved or enhanced. 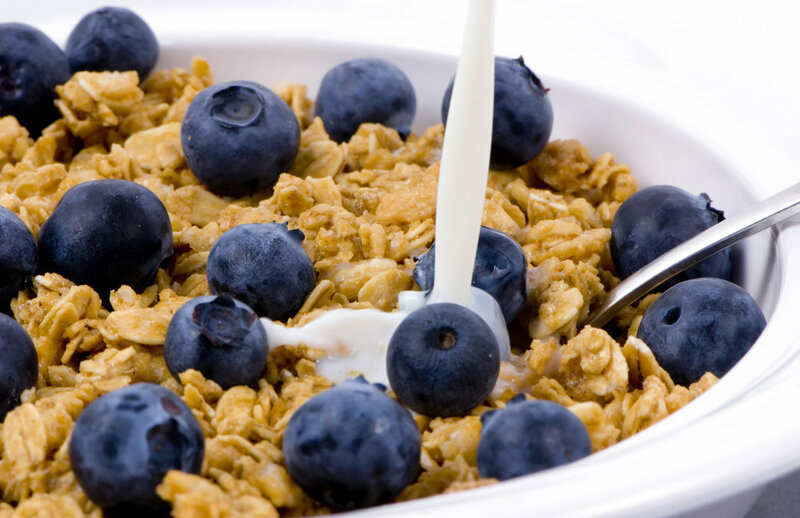 Stay away from junk snacks; keep it lean, and you’ll keep lean. Remember, in your diet, moderation is the key… particularly in foods containing saturated fats. You should always try to keep your diet within the 40/40/20 range discussed in other articles, with fats making up the 20% of your diet and overall calories. While fats are useful, I wouldn’t go too heavy with them; so don’t neglect the leaner sources of nutrients. I’ll end this article by saying; once again, expect to put some fat on. It’s an unfortunate side effect of bulking, but don’t worry, it’ll all come off during the cut.